Jessica has been a volunteer with Disability Network Southwest Michigan for almost one year. She has been an intern with our Advocacy & Community Education Team, volunteering up to 20 hours a week as part of earning her Master of Social Work degree. Jessica helps with the facilitation of the Phenomenal Women Peer Support Group and our weekly Brain Injury Survivors Support Group. She has also worked on many advocacy projects over the year, including the Transportation Advocacy Group and Access Team. Jessica has helped in the community at many outreach booths and disability awareness presentations. Jessica also served on the Statewide Program Planning Committee for the celebration of the 25th anniversary of the Americans with Disabilities Act. Through Jessica, our community has learned a lot about service animal rights and why we should not interact with a service animal. 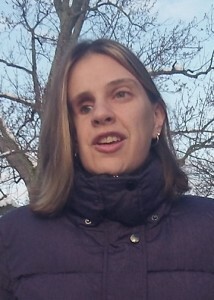 Thank you, Jessica, for your dedication and time to Disability Network Southwest Michigan. Congratulations on being December 2015 Volunteer of the Month!